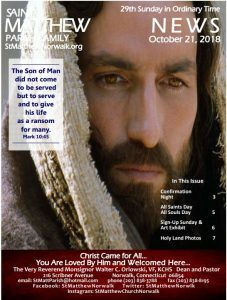 Christ Came for All. Not Some, but All. 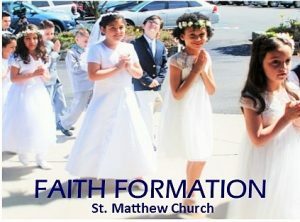 The Parish Family of Saint Matthew is a prayerful Catholic Community located at 216 Scribner Avenue in Norwalk, CT. 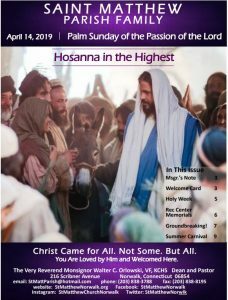 Empowered by the Holy Spirit to witness and celebrate the Gospel of Jesus Christ, we share our gifts with faith, hope and love in service to all. Rec Center & Parish Renovations 2019 Memorial Opportunities: click HERE. 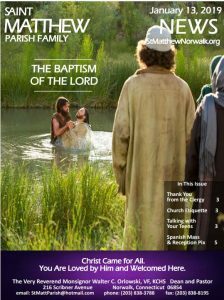 For a helpful resource to understand sacred liturgy and the new Diocesan Liturgical Norms, click HERE. 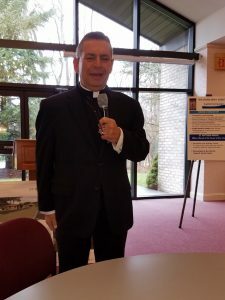 For Bishop Frank J. Caggiano’s March Update Letter, click HERE. 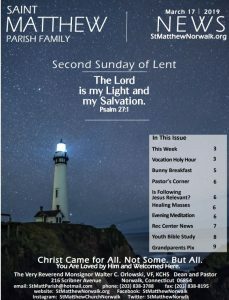 Parish News for the First Sunday of Lent, March 10. 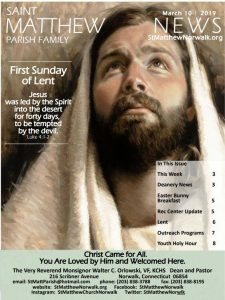 Click here for St. Matthew News, February 17, 2019. 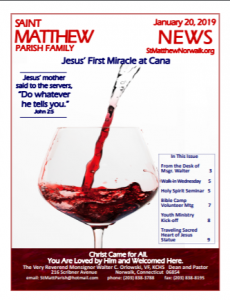 Keep up to date with the “best news in town!” Click here for February 10, 2019 StMatthew News. 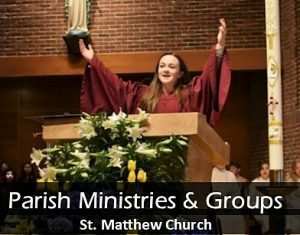 Stay up-to-date with all the February 3, 2019 St. Matthew News! 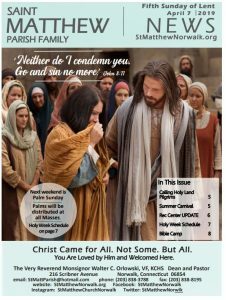 News for January 27, 2019. 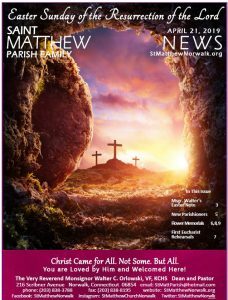 Check out our January 20, 2019 St. Matthew NEWS. 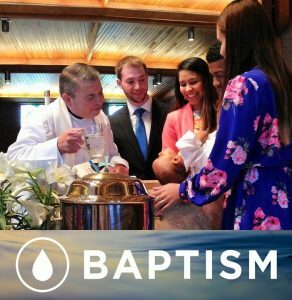 Click HERE for St. Matthew NEWS, January 13, 2019, Baptism of the Lord. 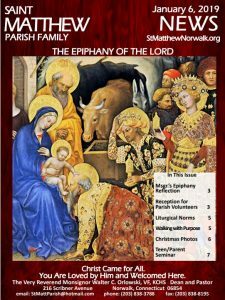 Click HERE for St. Matthew NEWS, January 6, 2019, Feast of the Epiphany. 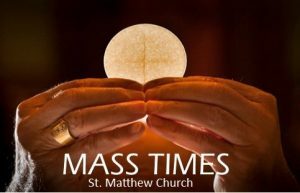 Click HERE for St. Matthew News, December 30, 2018, Feast of the Holy Family. Walk-In Wednesday to speak with Msgr: Jan. 23; 11am-12pm or 12:45pm-1:45pm. 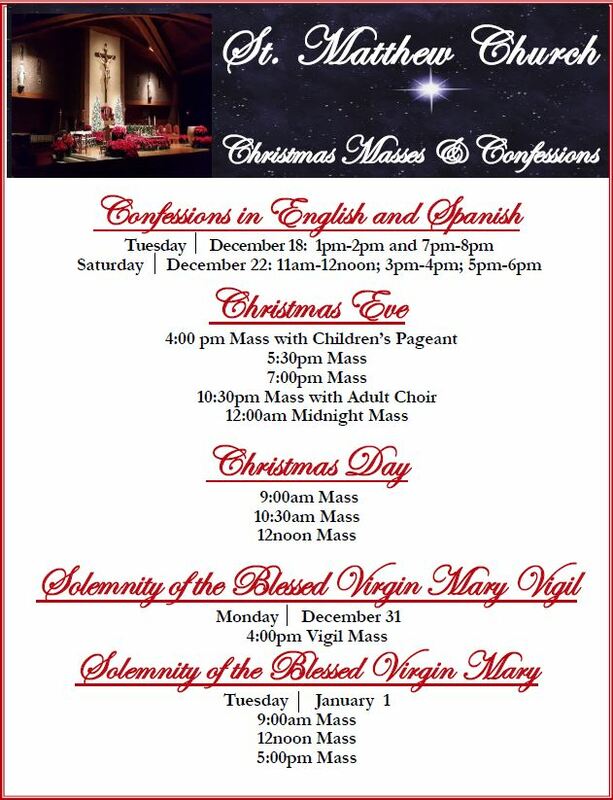 Wednesday, Dec. 12, 6pm; Reservations required (203-838-3788, ext. 101); $2/person to be paid at the door. 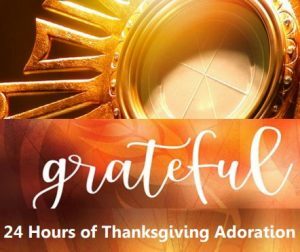 Join us for a wonderful night of song and praise as our interfaith communities give thanks to our one, true God. Write down the names of your loved ones who are no longer with you and bring them to the Church. 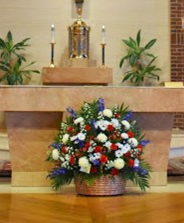 Their names will be placed on the altar and prayed for at every Mass that is celebrated during the month of November. 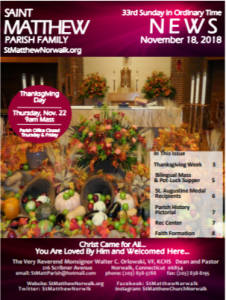 Click here for our Thanksgiving Week Bulletin, November 18, 2018. 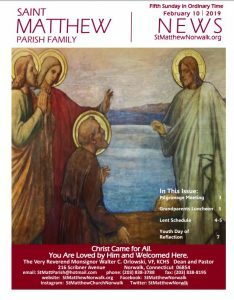 Keep up to date with everything happening at St. Matthew in our November 11 Bulletin. SIGN UP SUNDAY & ART AUCTION: Nov. 3-4 Weekend! 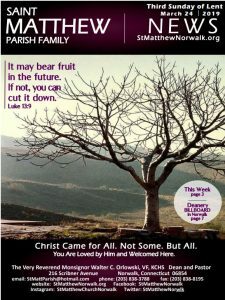 Discovering…developing…and sharing our gifts is one way for us to grow stronger in our faith. 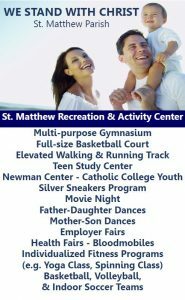 Stop by the ART EXHIBIT in the Great Room after all weekend Masses and make a bid on Paintings…Collectibles….Coin & Stamp Collections & more! 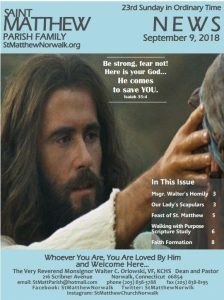 Join us for “Opening Your Heart” offered mornings and evenings, beginning: Tuesday, Oct. 2 at 9:30am OR Wednesday, Oct. 3 at 7:30pm. Click HERE to Register and learn more about Opening Your Heart! 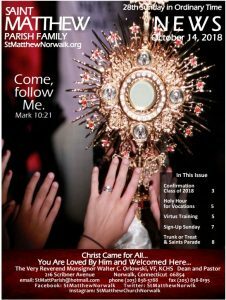 Are you, or do you know of someone interested in learning more about Jesus Christ and the Catholic Church? 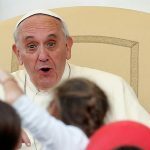 Or are you a Catholic adult (18 yrs +) who never received the sacrament of Confirmation? 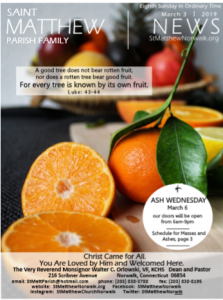 For more information, please contact Fr. Sunil: 203-838-3788, ext. 114. 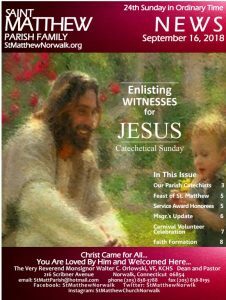 Click HERE FOR RCIA 2018-2019 Application. We are grateful for your support and offer Online Giving, a secure and convenient way to give. Click on the green “Welcome to Online Giving” button below to create a new account or log in to an existing one. 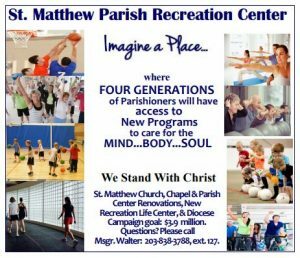 July 22 Update From Msgr. 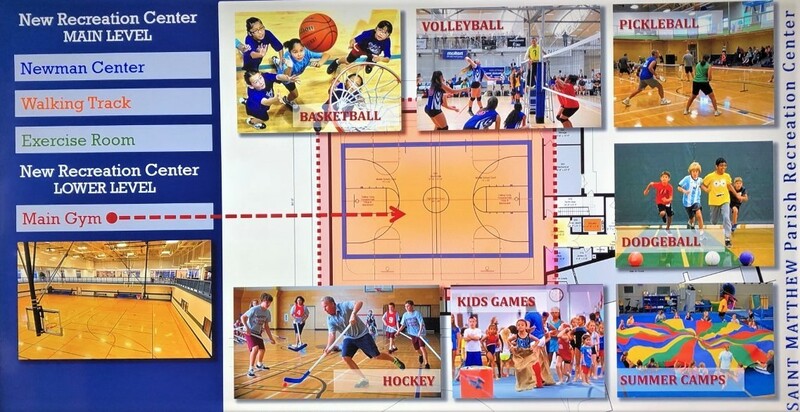 Walter: Planning & Zoning approved the motion for the Rec Center to move forward. 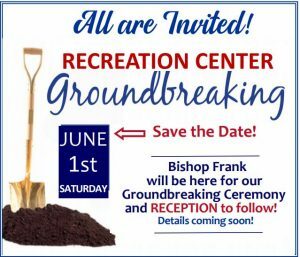 Next steps: Construction Drawings; we plan to break ground in late fall. Construction should take 9-12 months. 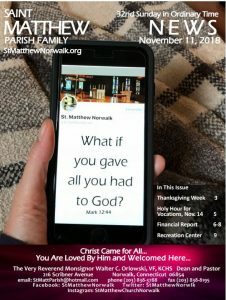 Online Pledges and Giving is now available. Thank you for your prayers and support! 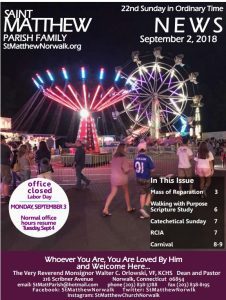 Anyone over the age of 18 who offers to Volunteer at any event at the Church is required by the Diocese to have a background check and complete the training program BEFORE THEY CAN VOLUNTEER. You will need to REGISTER ONLINE BEFORE taking a one-time Safe Environments Training Class. Questions or need assistance? Can’t attend either of these classes? Please be in touch with Erma Moore, our Virtus Coordinator: 203-838-3788, ext. 107 or email: ErmaMoore@gmail.com. 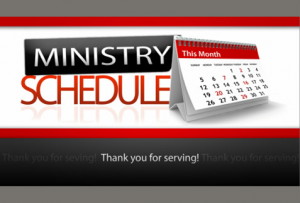 Saturdays: 3:15-4pm, First Tuesdays, and by appointment. Msgr. 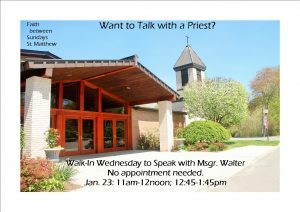 Walter: “Confession is a Celebration of God’s goodness to all of us. 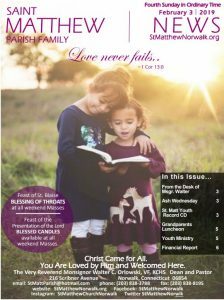 We come to Confession not necessarily because we are bad. 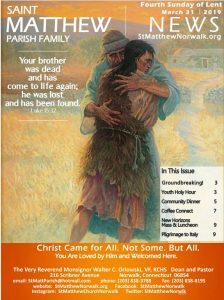 We come because GOD IS GOOD! 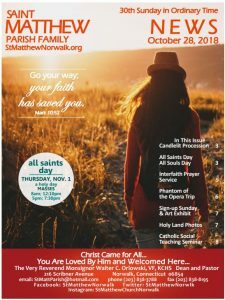 Keep up to date with St. Matthew News for the week of October 28, 2018. 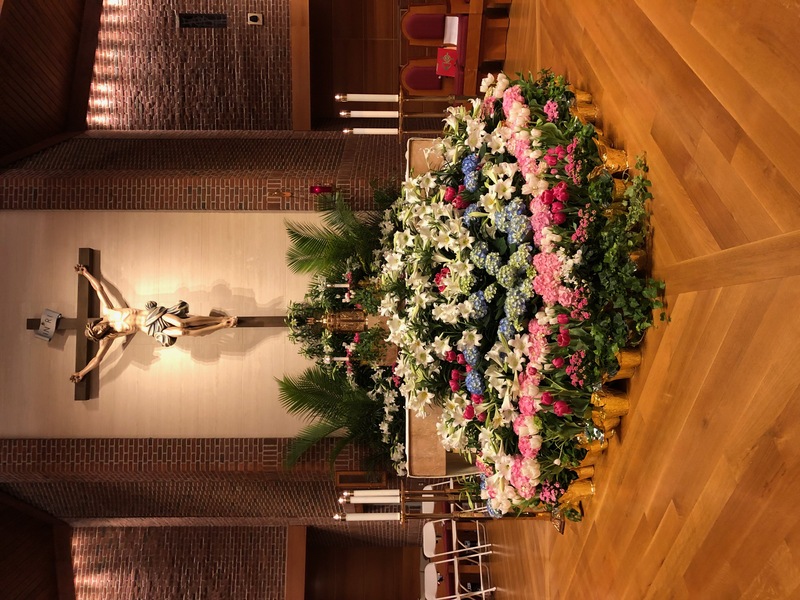 Congratulations, to our 2018 Confirmation Class! 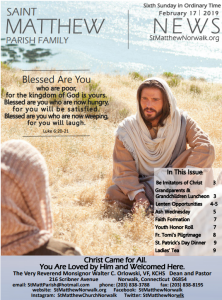 Read about their journey in the October 14 bulletin! 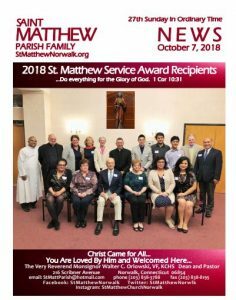 Our 2018 St. Matthew Service Award Honorees are featured in this week’s bulletin: October 7, 2018. 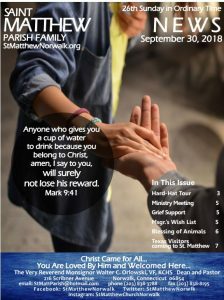 St. Matthew News for September 23, 2018. 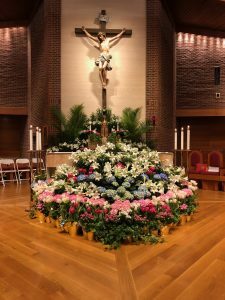 Consider donating the Sanctuary flowers in honor of someone you love. The Offering is $150.00. 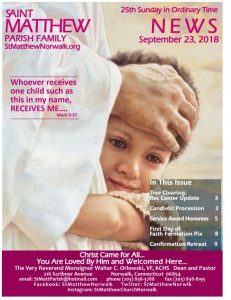 Your loved one’s name will appear in the bulletin during the week of the gift. 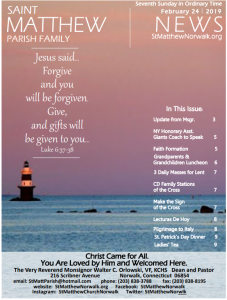 Consider lighting the Sanctuary Candle in Memory of your loved one. 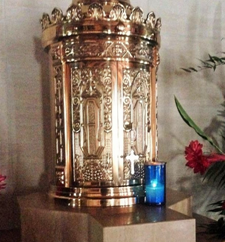 The candle will burn for one week near the Tabernacle. Our beeswax Sanctuary Candle burns 24/7. The Offering for the candle is $25.00. 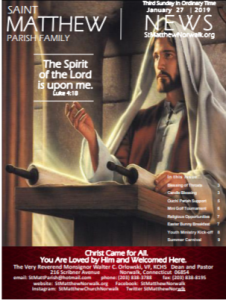 Your loved one’s name will appear in the bulletin during the week of the gift.